Andy Serkis has two Star Wars roles? Andy Serkis reportedly has two roles in 'Star Wars: The Force Awakens'. According to website Jedi News, the 50-year-old actor has filmed two parts for the sci-fi blockbuster, one as a motion capture character - the genre which he specialises in - and one traditional live action role. 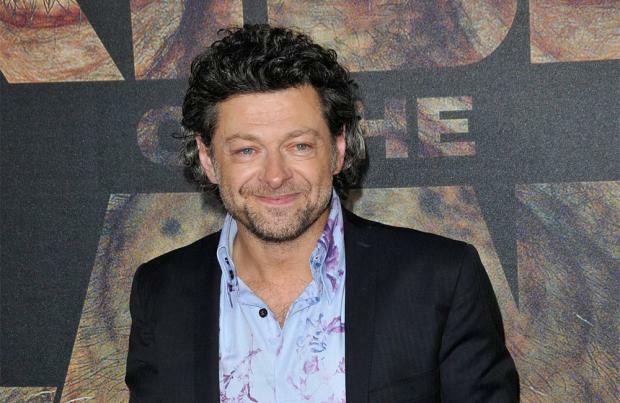 In his motion capture role, Serkis will lead a "group of unbelievably athletic and acrobatic characters" which also includes actress Crystal Clarke and parkour expert Pip Anderson. His second part is believed to be smaller but is "pivotal" to the plot and "entwines with Daisy Ridley's back story". Meanwhile, Serkis has confirmed it is his voice that provides the sinister narration on the 'Star Wars : The Force Awakens' trailer that was released last week. Despite rampant internet rumours it could be Benedict Cumberbatch speaking, the 'Sherlock' star has come out to state he's not in the film, and now Serkis has revealed it is him talking but would not confirm he is the mysterious character in the hood wielding the red lightsaber. Speaking to Absolute Radio, Serkis said: "Yeah (it's me), I'm sure Benedict doesn't need any more attention at the moment." The J.J. Abrams-directed film is scheduled to hit cinemas on December 18 2015.